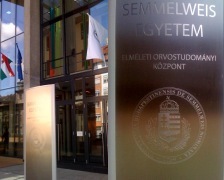 Department of Medical Biochemistry, Semmelweis University - List of publications 2006. Research » Our publicatons » List of publications 2006. Kun, E., Kirsten, E., Bauer, P.I., Ordahl, C.P. Quantitative correlation between cellular proliferation and nuclear poly (ADP-ribose) polymerase (PARP-1).